Author Cormac McCarthy writes in a pregnant style that imbues his pages with an almost mythological transcendence in a way few modern authors have. He often avoids quotation marks for dialogue and employs forgotten words that when read feel archaic. Now and again his characters have no names, just a title, such as “The Kid” in Blood Meridian or the Evening Redness in the West, or the nameless father and son journeying across a pitiless, cannibalistic post-apocalypse in The Road. These characters are demonstrations of ideas, philosophical in construction and representation, and therefore beyond a mere name. Or if McCarthy does decide to name his characters, they’re often strange, unknowable titles. Consider Anton Chigurh, the sociopathic killer from No Country for Old Men, who seems to have no past and has materialized from a fog of relentless sin. McCarthy’s stories are profoundly detailed sagas about the archetypal nature of good and evil, predator and prey, and the ruthlessness of the world. 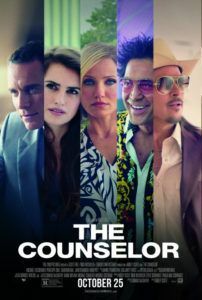 With this in mind about McCarthy, watching the author’s first original screenplay, The Counselor, come to life under the direction of Ridley Scott, one gathers the same quality of his novels: that a metaphor is being played out on an imposing scale. The story follows a character played by Michael Fassbender simply called The Counselor, an ironic title since this besieged figure finds himself in a situation from which he has no idea how to escape, leaving him to seek guidance from everyone he knows. Though he’s usually a respectable attorney, he considers entering into an operation with a Mexican drug cartel for three drums of cocaine, which the Counselor and his associates can sell on the American market for $20 million. He’s warned against the dangers of doing business with the types of people he will have to do business with, the sorts who decapitate when a deal goes sour. But the Counselor has fallen in love with Laura (Penélope Cruz), for whom he travels to Amsterdam to purchase a stunning engagement ring. “Every diamond is a cautionary tale,” the diamond dealer (Bruno Ganz) tells our protagonist, who doesn’t yet understand the wider, expansive meaning of this advice. Playing out in classical film noir format, The Counselor features an array of rich unsavory types in the criminal underworld, all of whom speak about women as sexual conquests. Westray (Brad Pitt) is the Counselor’s middleman for their deal and perhaps the most dependable source of advice; he’s the reproving voice of reason, dressed in posh cowboy duds, warning the Counselor about the cartel’s brutality in cryptic ways and telling him to be prepared to disappear if worse comes to worst, which inevitably it does. Reiner (Javier Bardem) is less subtle. He’s a drug kingpin who uses nightclubs as a front for his nefarious activities; he’s also the Counselor’s business partner, a spiky-haired picture of excess, complete with designer clothes, flashy cars, and an ever-present party around his pool. At one point, Reiner tells the Counselor about the people with which he’s about to become involved, describing their use of a “bolito”—a mechanical device with a sharp wire that when placed around a victim’s neck winds down to a bloody, headless finish. The Counselor is at least wise enough to keep Laura distanced from these people, even if they are very much aware of her existence. Every noir story has a femme fatale, and here it’s Malkina, played by Cameron Diaz in perhaps the most fascinating role of her career. On Reiner’s arm, Malkina’s golden tooth, silver fingernails, and leopard-print-tattooed back make her seem as though she’s another of Reiner’s flashy possessions. She’s far more than that, as Reiner later admits to the Counselor. He’s afraid of her, this woman who has tamed two cheetahs and loves to watch them hunt. In a grotesquely described yet crucially symbolic monologue, Reiner recalls how Malkina mounted his Ferrari and therein marked her territory, both the object and her man. The descriptions used are vivid and unforgettable, but also haunting as the film progresses and Malkina’s predatory behavior reaches beyond sexual and into the arenas of primal and situational. On the hunt, her “cold” character seeks to dominate and expose the raw reality of everyone around her, manipulating Reiner, Westray, and the Counselor in ways they never foresee. In one scene, she even visits a priest (Édgar Ramírez) for the sole reason of tempting him to receive her most base sexual confessions though she’s not a confirmed Catholic. There are those who will find McCarthy’s script impenetrable and the film a decided bore. 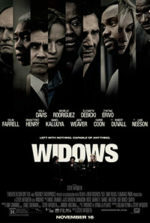 In a way that recalls Killing Them Softly, scenes feel almost self-contained, seemingly designed for the brilliant cast (which also includes Rubén Blades Rubén, Rosie Perez, Toby Kebbell, and Dean Norris) to explore through some incredible acting. The performers speak in elevated phrases of the author’s characteristically poetic, unnatural dialogue; though no one in the real world actually talks in McCarthy’s grandiose style, the script’s words have considerable meaning behind them. The structure steps back and forth between the Counselor’s movements and the progression of the cocaine truck, never feeling a need to over-explain itself or who smaller characters are in the way typically overstated Hollywood films often do. 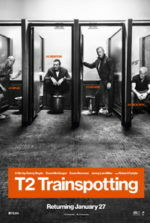 As a result, upon first viewing the film may seem to have a disconnected feel to it, as if the scenes were arranged in a random, nonlinear or at least nonsensical format. However, this is not the case. Like one of McCarthy’s novels, the ornate filmmaking and storytelling are both intensely involved, not one scene wasted or included for superficial effect or to service the audience—nor is the decidedly grim experience of the film designed with a crowd-pleasing intent. Scott’s customarily visualist style has been tempered to support the story, recalling his more restrained (but no less technically precise) work on Matchstick Men or American Gangster. Seeing beyond the pure bleakness of McCarthy’s worldview has been a challenge for the film’s many critics, who have berated the film as “a bummer” that “lacks clarity”—many hinting that they expected Ridley to follow in his late brother’s footsteps by making a romanticized, wildly enjoyable frolic through the criminal underworld like Tony Scott’s True Romance. But nothing could be further from The Counselor, and for many viewers it may require a second viewing to appreciate that. 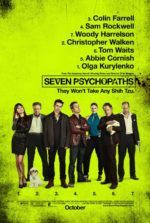 The film is reliably unpleasant; it does not pretend to be a morality play, nor even accessible for the masses. Its characters are not condemned for their criminal acts, for their ineptitude in a new criminal enterprise, or for their methodical predation. McCarthy has not attempted to simplify his complex narrative structure or make his dialogue realistic. Just as he’s done in many of his novels, McCarthy’s first screenplay follows his stylized, almost mythically cynical cosmology with unwavering detachment and insight.